Blue Table Post, is an ultra-modern video/audio post-production complex with an artisan-based creative philosophy and a future-proofed technology core. Designed to support the creative talents of triple Emmy-winning editor Oliver Lief, Emmy-winning recording mixer/sound designer Rich Cutler, and senior colorist/vfx artist Begonia Colomar, the complex is situated in a handsomely renovated five storey building, in Brooklyn’s culturally diverse Boerum Hill Section. First client booking was Meryl Streep, with a nine day VO/editing project for Michelle Obama’s CNN “We Will Rise” documentary. 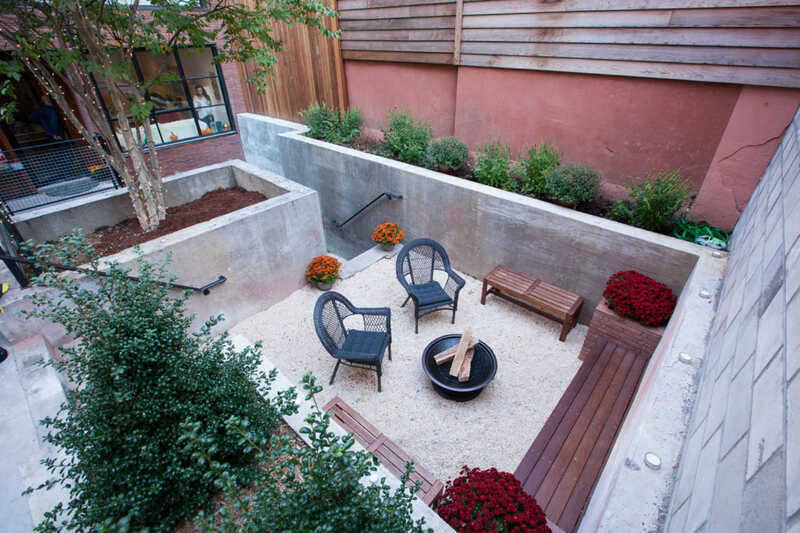 Set behind a walled-courtyard Blue Table Post occupies the building’s ground and lower floors. 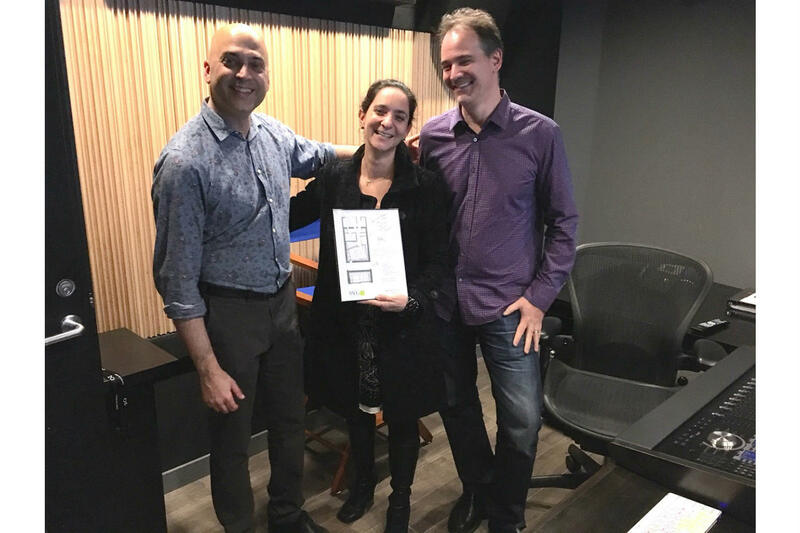 To insure a fully soundproof environment for the 3-D Dolby Atmos Mix Room, the original shallow cellar was excavated six feet to establish a spacious 250 sq. ft. screening room. 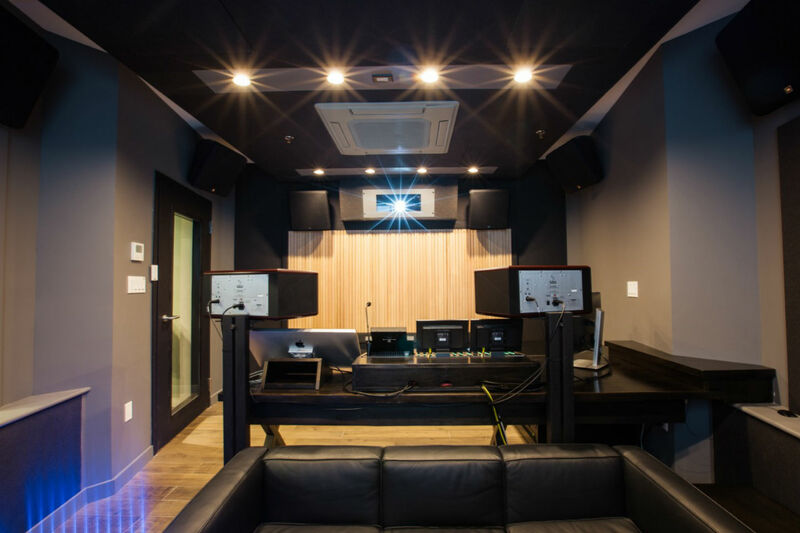 The Mix Room features an Avid S6 M-40 console and 20 speakers including 2 Focal Twin Be-6 Nearfield Monitors, and 6 ceiling-mounted JBL 8350’s, the suite features a 5’ x 9’ screen and full complement of high-end analog gear for VO recording in the 50 sq. ft. ISO booth. All Avid systems are linked through Ardis Technologies’ award-winning DDP SAN. The 130 sq. 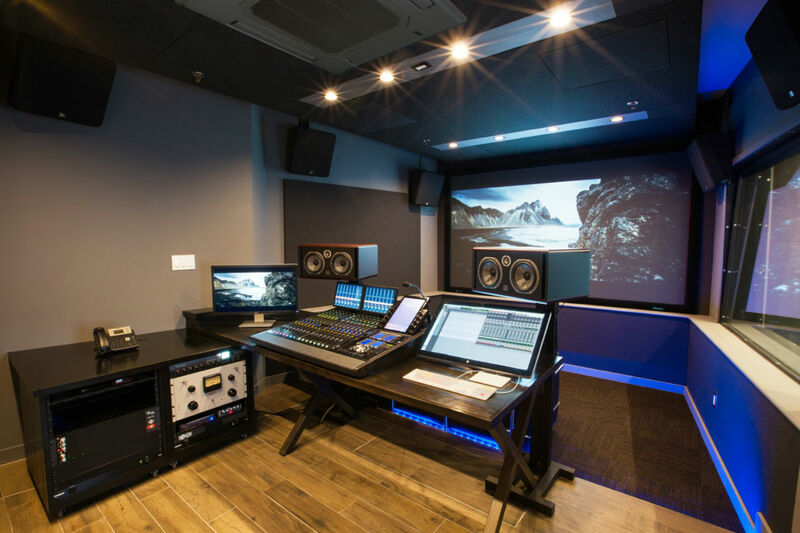 ft. Color Grading Suite features a Dolby PRM-4200 Monitor, an HP server and has a shared database with the neighboring 80 sq. ft. Color-Assist Room. 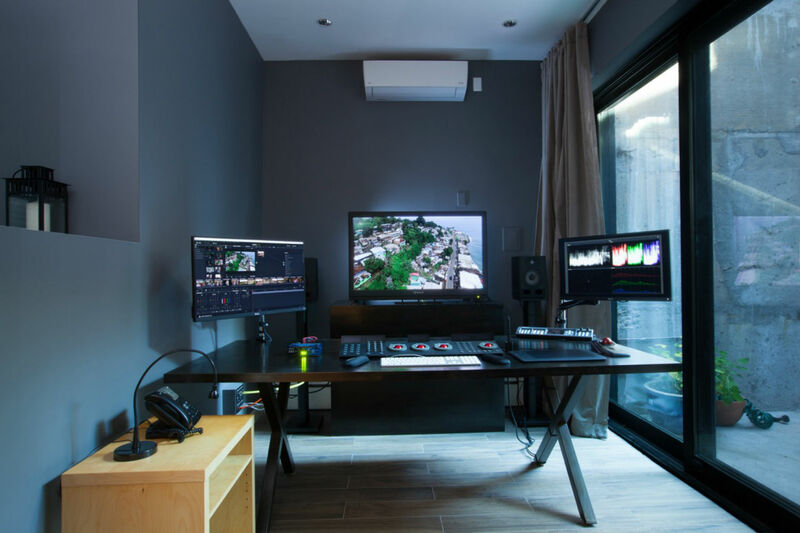 To expedite screening color-graded 4K picture in sync to the mix, the Mix Room and Color Grading suite are linked, and can be locked to the Pro Tools session. Three Mac-equipped edit rooms are designed to accommodate editors and assistants for large projects. 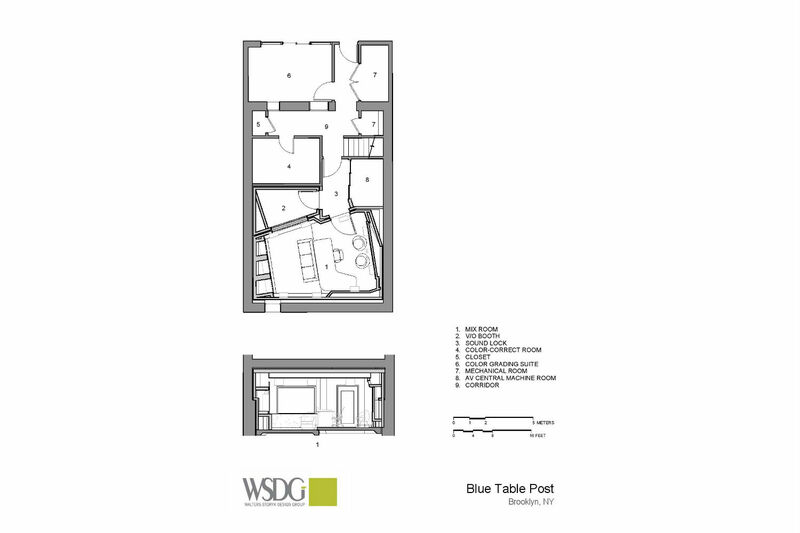 WSDG was retained in 2012, at the design stage. Actual construction began in 2014. 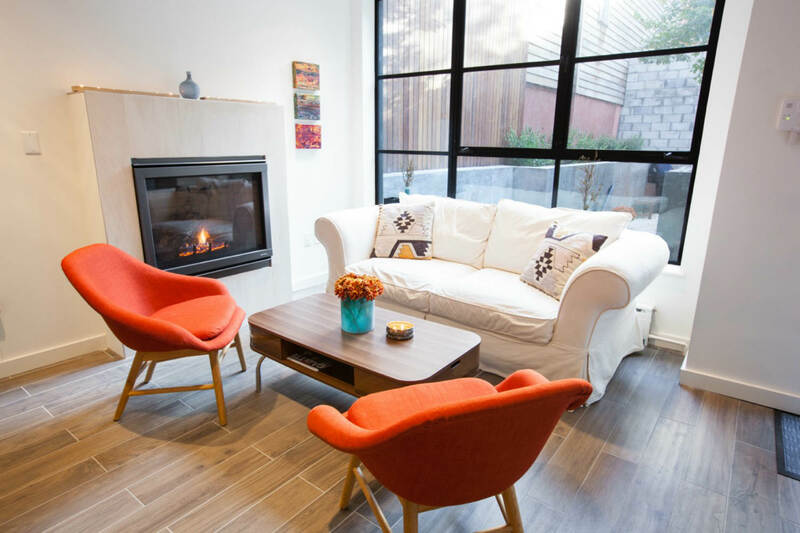 The 6’ basement excavation provided an extremely effective isolation environment. 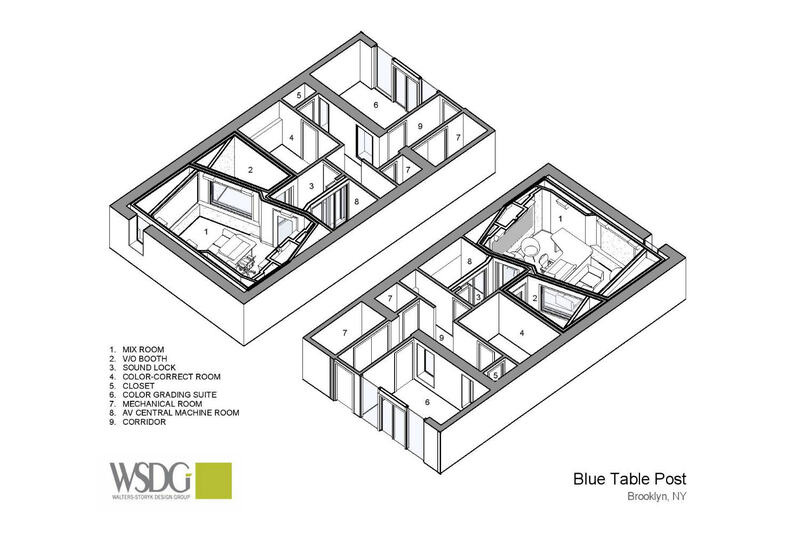 WSDG stipulated room-within-room construction throughout the complex to eliminate sound leakage. An impeccable Systems Integration, insures flawless connectivity. 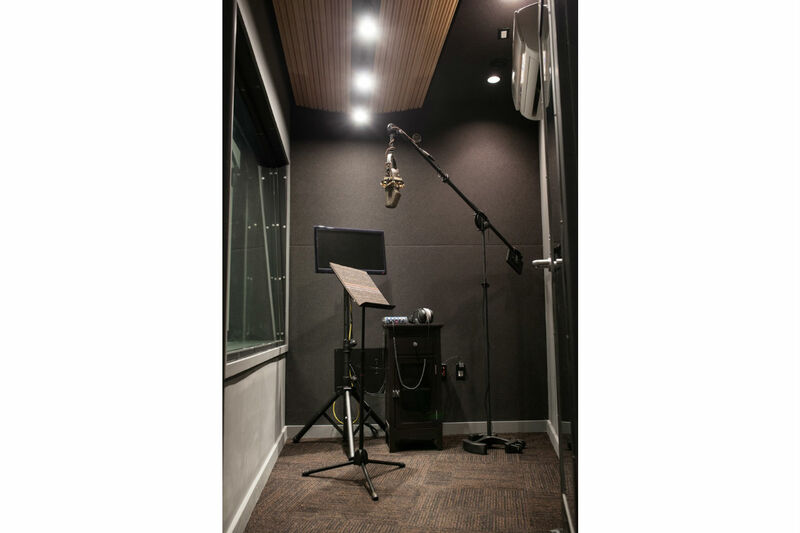 Visual contact between the VO Booth and the Mixing/Screening Room is outstanding. Oliver Lief reports that Meryl Streep was delighted with the studio’s handsome comfort level and superb functionality. A 15-minute subway ride from Manhattan, Blue Table Post is Brooklyn’s first world-class post house. The facility represents serious option for feature film, TV series, documentary, commercial and music video projects.